We are, give or take, a quarter of the way through the NBA season. There have been some real surprises along the way and some growing pains for some teams that have faced a lot of changes. The Thunder certainly didn't make the moves they did to be 8-11 and out of the playoffs. Expectations for the Lakers were a little overly optimistic. And Cleveland had a rough start. There have been some real positives, too, with teams like Detroit and Portland far exceeding reasonable expectations. As we sit here at the quarter pole it is a good time to look at the betting studs and duds - those that have been kind to bettors, and those that have burned money. 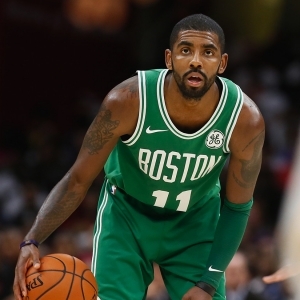 Boston Celtics (17-4-1 ATS): This one isn't surprising. The Celtics are a stellar 18-4 despite losing their star free agent acquisition literally minutes into the season. And they have been taking care of business for bettors despite the attention they are getting. Impressive. Things haven't been quite as strong lately, though - they are just 2-2 ATS in their last four games after losing and failing to cover at Miami and against Detroit. Philadelphia 76ers (14-5 ATS): The Process is working. Led by two of the most exciting younger players in the league, the Sixers sit in fifth in the East, and they are only a game out of fourth. After feeling like they were behind schedule for most of a decade they are now perhaps a little ahead of schedule - as the betting success suggests. They had covered six straight before a humbling home loss as favorite against the Cavs last time out. Detroit Pistons (13-5-1 ATS): In perhaps the most bizarre and surprising turn of events in the league so far, the Pistons have the lead in the Central Division. It's only a small lead, and with the Cavs finally awake it won't be their lead for long, but right now it has been impressive to watch - and highly profitable for those who have had faith in the team. Brooklyn Nets (13-7 ATS): Unlike the other four teams on this list of studs, the Nets are a bad team - they are 7-13. What has made them a betting success, though, is that they aren't close to as bad as people expected. The team has shown a whole lot of toughness lately, covering six straight spreads despite losing top scorer D'Angelo Russell. Indiana Pacers (13-8 ATS): The Pacers are another team that is slightly ahead of schedule at this point. They are in sixth place in the East and have won six of seven - and covered a spread with each win. Victor Oladipo has been great, and the blockbuster trade with the Thunder has turned out much better in the short term than anyone could have imagined. Memphis Grizzlies (6-13 ATS): The pathetic Grizzlies have lost eight straight and haven't covered a spread in that time. Their star player is unhappy. Those two developments were enough to get a coach fired. It was perhaps a little premature to get rid of David Fizdale, but this is a player's league much more than it is one for coaches. It remains to be seen if the change turns things around at all, but it's tough to have too much optimism. Dallas Mavericks (8-13 ATS): There is no mystery here. The Mavericks are a really bad team that is in the midst of a rebuild - whether they want to admit it or not. They just don't have the depth or talent to compete. They have actually covered five of their last seven spreads, so things have been much brighter or late. But can they keep it up? I sure don't look at this roster and expect a big run of success. Miami Heat (7-11-2 ATS): Again, this is a team with insufficient talent that is just doing what they should be doing based on what they have. In fact, their 10-10 straight up record actually feels like a bit of an overachievement. I don't like a whole lot about this team and don't feel any real optimism here. Cleveland Cavaliers (8-12-1 ATS): This is misleading here. After a really hideous start the team has won nine straight games and is 6-4 ATS in their last 10 outings. They won't be the best betting team in the league at any point, but they also won't be on this duds list the next time we revisit it - you can bet on that. Denver Nuggets (8-12 ATS): This one's a little surprising. Heading into the season the Nuggets were a strong pick to grab one of the last playoff picks in the West. And a quarter of the way through the season they sit in sixth place. Their 11-9 record won't blow anyone away, but they are doing about what is expected - but obviously not enough to keep the betting public happy at this point. Doc's NBA handicapping team is offering $60 worth of member's predictions absolutely free - no obligation. You can use this $60 credit any way you please with any of our top NBA handicappers free here. Also, for a limited time only get three top NBA handicappers for the price of one! Click Here . Get free NBA basketball picks today at Doc's Sports basketball predictions page .